NEW YORK, NY--(Marketwired - October 29, 2014) - Looking for the gift that is sure to please this holiday season? Consider a bottle of Port, the highly collectible fortified wine from the Douro Valley in Northern Portugal that has been revered since the late 17th century. Available in a range of styles and prices, Port is an excellent wine for special occasions, as a gift or to enjoy with friends and family. 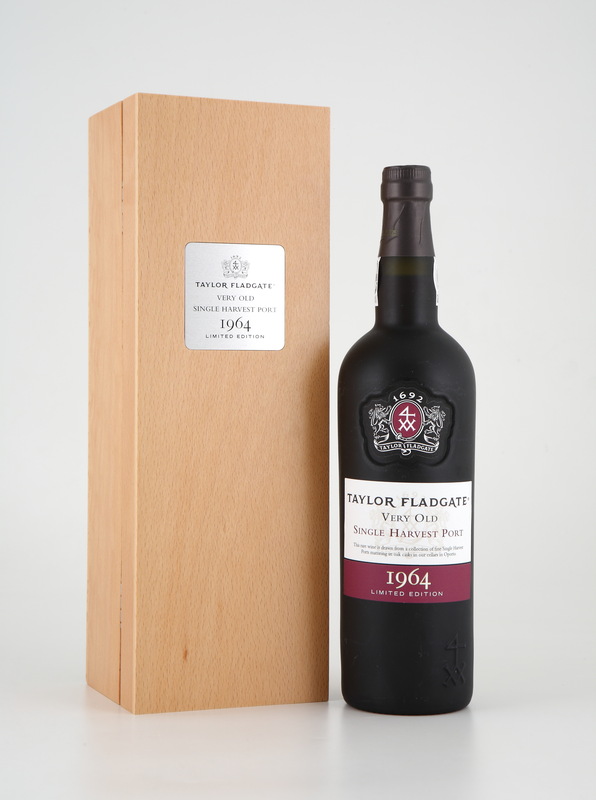 Two Port houses, Taylor Fladgate and Fonseca, have released special editions: Taylor Fladgate 1863 Single Harvest Tawny Port ($3,700), Taylor Fladgate 1964 Single Harvest Tawny Port ($300) and Fonseca BIN 27 Limited Edition Artist Series ($20.99). "The holidays are all about friends, family, and sharing great moments together. Port wines are the perfect addition with their elegant, rich array of flavors that add to the festive spirit," says Adrian Bridge, CEO of The Fladgate Parnership, a family-owned company established in 1692, that has owned Taylor Fladgate and Fonseca for generations. According to Adrian Bridge, "This remarkable Port is like a time capsule, offering a fascinating glimpse into a distant past. 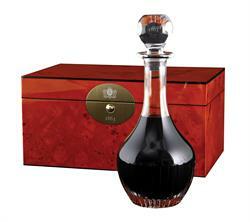 The 1863 Single Harvest Tawny Port has been in wood for over a century-and-a-half and is a piece of wine history. Thanks to the perfect aging environment of the lodges in Oporto, it is perfectly balanced and shows an extraordinary vitality." This wine has extraordinary depth and background and is the ideal gift for a loved one who will appreciate its multiple layers and dimensions of aroma. Regarded as the last great Port harvest before the spread of Phylloxera throughout the Douro Valley, the year 1863 produced wines of great longevity. The 1863 Single Harvest Tawny Port is offered in a special crystal decanter presented in a wooden presentation box with a maple burl veneer. Each box contains a certificate personally signed by Adrian Bridge. The 1863 color is a deep mahogany core with a narrow amber-olive rim. On the nose, a succession of subtle spicy aromas opens up against a dense backdrop of treacle and molasses. Notes of sawn oak and vanilla give way to a spicy surge of nutmeg, black pepper and ginger. Gradually the rich, sumptuous aromas of age emerge: walnut, marzipan, butterscotch and mocha followed by rich, figgy plum pudding notes. On the palate, the wine is in perfect balance, with sweetness and acidity in harmony and a beautifully integrated spirit. On the mid-palate the wine releases a burst of opulent mellow flavor that is lifted by a crisp acidity as it flows into the endless finish. "Most Ports -- both ruby and tawny -- are blended; it is very rare to find a cask, from a single year, that has created a beautiful wine all by itself. It is even more rare to find a 50 year old that has done this," comments Adrian Bridge. Drawn from a single vintage, this beautifully balanced 1964 Single Harvest Tawny is the first in an annual series of 50-year-old wines. During its five decades of aging in oak casks, it has taken on an attractive pale mahogany color with olive amber highlights. On the nose, the wine displays fine oaky aromas and complex spicy, nutty, cigar box notes against a warm mellow background of butterscotch and molasses. The smooth velvety palate is lifted by a crisp acidity that gives the wine an attractive freshness in spite of its age. The finish is immensely long with rich, spicy, black pepper flavors lingering on the palate. Port, art and nature lovers can unite thanks to the introduction of a special edition of Fonseca BIN 27, created in partnership with acclaimed American artist Erik Parker. The 2014 Limited Edition Fonseca BIN 27 Erik Parker Artist Series, a Reserve Ruby Port, is packaged in a stylized gift box featuring Parker's inventive water-inspired art. It highlights Fonseca BIN 27's support of the Waterkeeper Alliance, a nonprofit organization that connects and supports local Waterkeeper programs to provide a voice for waterways and their communities. Aged for four years in neutral wood vats before bottling, this wine shows fresh, rich blackberry and cassis aromas. On the palate, it has a velvety, luscious mouthfeel and smooth tannins. This powerful wine pairs well with strong-flavored hard cheeses and is delicious with desserts made with dark chocolate or berries. For more information, please visit Taylor Fladgate or Fonseca Port. High-resolution are images available upon request. Taylor Fladgate and Fonseca ports are imported by Kobrand Corporation in the US.